What’s better than chocolate? More chocolate! 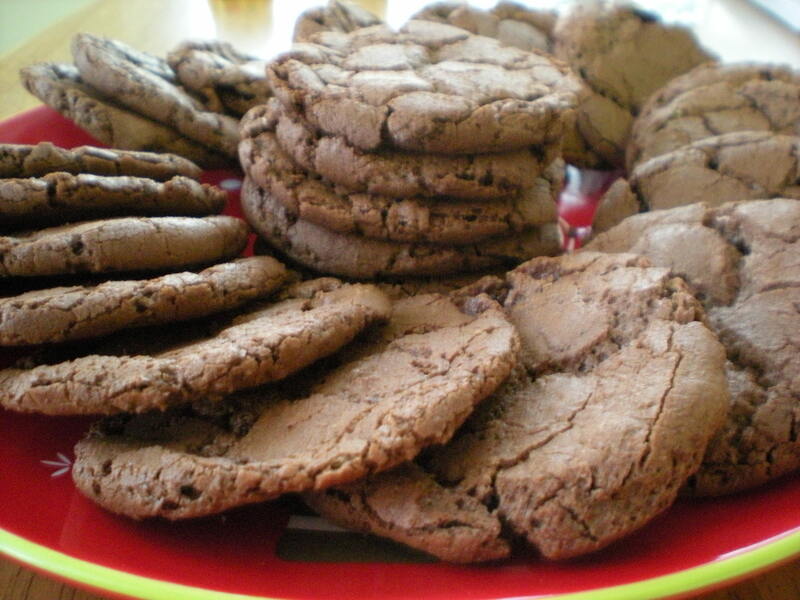 A good chocolate cookie is hard to come by, but these are pretty delicious. 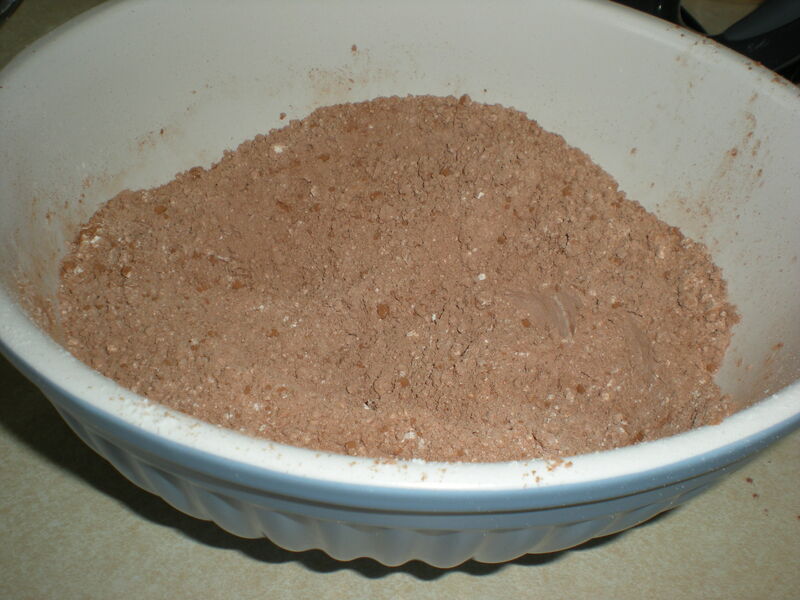 I whisked to combine (you know I don’t sift) 1 cup of all-purpose flour, 1/2 cup of cocoa powder, 1/2 teaspoon of baking soda, and 1/2 teaspoon of salt. I set that aside and dumped 8 ounces of semisweet chocolate chips and 1 stick of butter into a glass bowl. I melted them in 30-second intervals, stirring in between, until smooth. 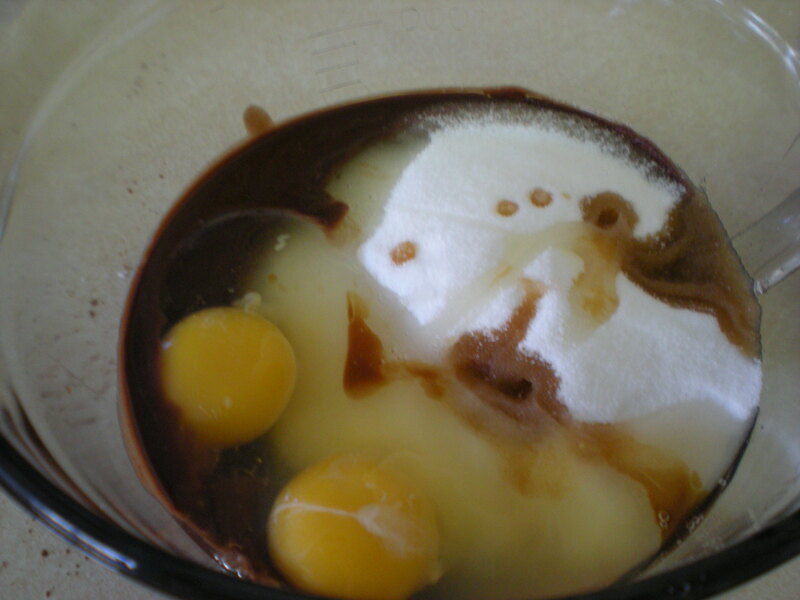 I poured the chocolate and butter mixture in a large mixing bowl and added 1 1/2 cups of white sugar, 2 eggs, and 1 teaspoon of vanilla. I beat it with the hand mixer on medium until it was well combined. I switched it down to low speed and slowly mixed in the dry ingredients. The batter was really runny and difficult to work with, so I put it in the fridge for a little while. 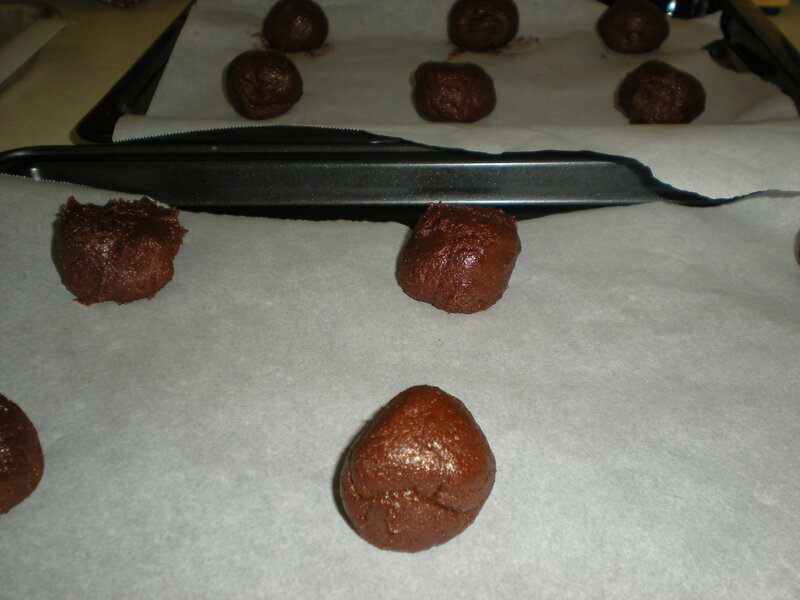 I wanted uniform-sized cookies, so instead of spooning them onto the parchment-paper lined cookie sheet, I rolled the dough into balls and placed them about 2 inches apart. (An ice cream scoop would work great — I probably should get one of those.) I did have to bake them in multiple batches, and chill the dough again in between preparing trays. I baked them for about 15 minutes, rotating halfway through. I pulled them out when they started to crack on top. They looked beautiful arranged in a circle on my red snowman platter, and judging from the number of tiny children who kept grabbing them off the table at the party I took them to, they tasted great too! – If I make these again, I would melt only half the chocolate chips. I would leave the other half whole and stir them into the batter at the end to make chocolate-chocolate chip cookies. – Tip: If you drop the batter when it’s room temperature or warm, the cookies will spread quickly while they bake and be thinner and more crunchy. If you chill or freeze the batter first, it won’t spread as much, and they will be thicker and less crunchy. – These cookies are nice and flat, so they would be ideal for decorating. Try making a few stencils of holiday shapes and then sprinkling confectioners sugar on the cookie using a fine sieve. It would make for a cute snowman or Christmas tree outline.